I know that seems oddly specific, but I've always kind of wondered what would happen if there was a Street Rod game set in anywhere but the U.S., which would (obviously) change the car set completely. Australia: Mostly Australian-built GMs (Holden, Ford, Chevrolet). Asia (in an overall sense): I really don't know. Toyotas? AFAIK not as good as cars from the U.S. or Europe. Prime exceptions: Toyota Celica, Toyota S800, Mazda RX3. Europe: European cars, mostly. Smaller and often more efficient and/or safer than their counterparts, since Asia's cars weren't QUITE up to spec yet. AFAIK for some reason, European V6s tended to be less efficient than their U.S.-made counterparts. Australia would have all the older Ford falcons like XR,XT,XW,XY and XA-XC aswell as the coupe versions and as a rare car would have the Ford GTHO Phase 4. For Holden (GM) there would be all the Monaros and Toranas. There would also be Chevy bel airs as there was some GM Australia complianced right hand drive ones. afaik all the Australian cars were re branded US cars with right hand drive. As an Argentinian, I can tell you about 2 fantastic muscle cars that were built in my country in the 60's and 70's. The second was the Dodge GTX which was also produced in Mexico. It came with a V8 of 318 cu.in MOPAR Edelbrock Holley of 230 HP . It was killer in straight line, but nearly impossible to turn at high speeds. what year did the DODGE GTX come out? In 1970. It was produced until 1979. Apparently, the small-blocks used in the Opel Diplomat 5.4 are special “endurance racing” versions of the standard Chevrolet small-block engine owing to the fact that the guys at Opel kept burning up the various small-block powerplants (including the standard Corvette engine) sent to them by Chevrolet during the sustained high-speed testing they did for the Diplomat. In order to replicate Autobahn conditions, they ran the cars at a sustained speed of 125 mph for hours on end, and in the process, destroyed quite a few engines. The Opel engineers first went through the stock Chevrolet 5.4 small-block engine, then a special “enhanced” engine that had some Corvette pieces, then the actual Corvette engine, and then were finally sent the “endurance racing” engines which made the grade and thus became the only V8 offered in the Diplomat 5.4 model. So that’s the engine you got if you had an Opel Diplomat 5.4, and this may also explain why, that although not many Opel Diplomat 5.4 models were produced, you see a fair percentage of the few cars left with very high mileage and still running strong. The Opel Diplomat sort of had a Corvette engine, but not the production engines used in road-going Corvettes – it had the engines used in the Corvettes (and other cars) that did hard-core endurance racing like at Sebring and LeMans. It was a tougher, more durable, higher-revving (and more expensive) small-block V8 than the production Corvette engine, and a better engine all around. I totally forgot about the Jensen! And that Opel is something else, I didn't know about it at all. These are not American, they are South African special edition however they are very applicable to the game and fit the time line perfectly. The car was based on the Mk1 Ford Capri 3000 XL. It was powered by an up-rated Ford Mustang 5 litre V8 (Windsor Small Block Ford) engine. Power was fed through a four speed close ratio Mustang 'top loader' gearbox to a custom limited slip rear axle derived from the Australian Ford Falcon XW rear end. 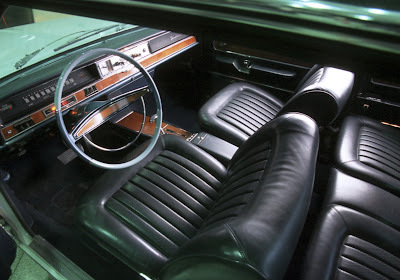 Automatic transmission was an option where the Ford C4 automatic was used. The South African fairmont GT was built from 1970 to 1973. The 1970 model is a CKD version of the Australian XW Falcon GT and the 1971 to 1973 model is a CKD version of the Australian XY Falcon GT. The 1970 model featured a 2v 351 cleveland engine and the 1971 to 1973 mocel used a 4v 351 cleveland engine. The most apparant difference between the two different models are the shaker scoop on the 1971 to 1973 version and differences in the grill. Ford XC Falcon, finished 1-2 in the Bathurst 1000 a lap ahead of 3rd place.